Berg has successfully combined highest safety, great stability, and attractive design in the Berg safety net T-Serie . Thanks to the especially developed connecting construction "T-Serie", mounting the safety net is quickly and easily done. The net is safely mounted on the trampolines Elite+ Regular and Elite+ InGround by means of a T-shape clamp. Perfect fit and optimal stability of the net are guaranteed by the fixation of the poles with two bolts. The stable poles are encased with a thick foam padding in a practical cover. The production of the safety net meets highest safety requirements. 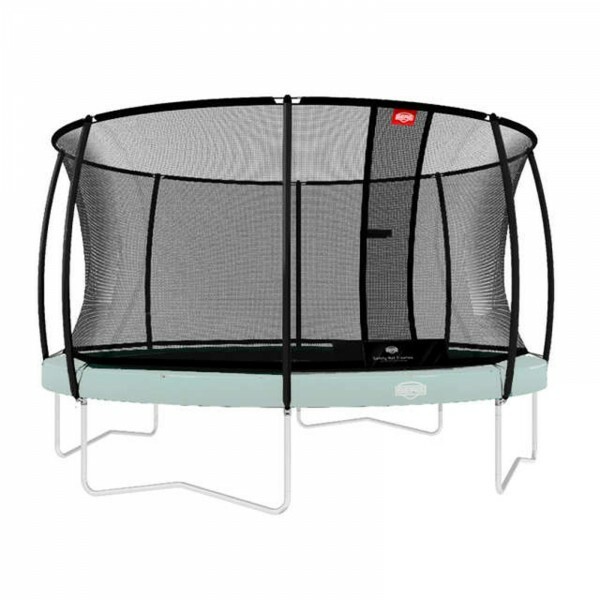 Thus the net is equipped with a safe, self-closing entry with hook-and-loop fastener, which provides high safety while jumping and an optimal comfort while entering and leaving the trampoline. 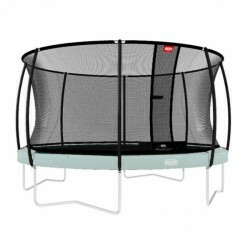 The hook-and-loop fastener closes on its own after entering the trampoline so that the net is always closed and nobody can fall out.